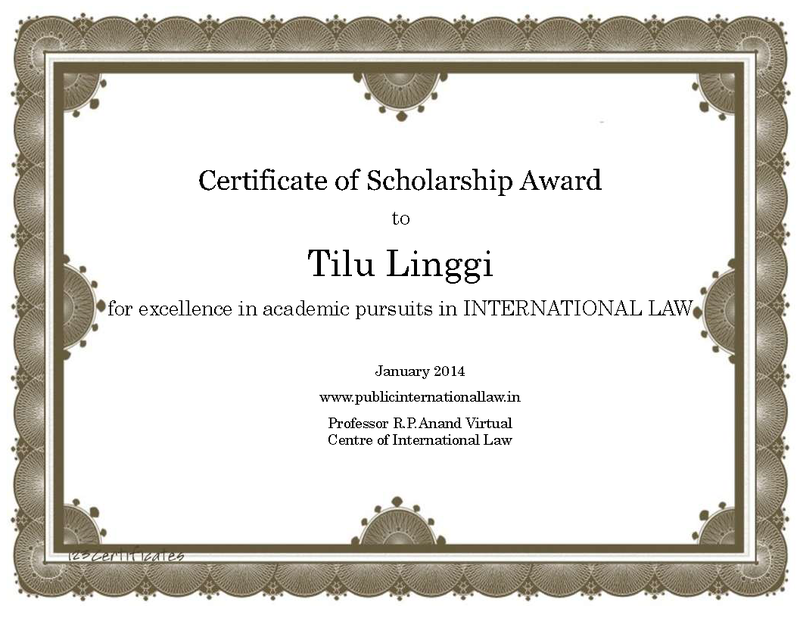 I aspire to see myself fully dedicated with the support of this scholarship to become an academician and expert with an objective of contributing more towards conflict resolution mechanism. This is also because I hail from a place which is basically a disturbed areas. I had interned with National Human Rights Commission, New Delhi and worked with several NGOs and intend to link myself with several human rights NGOs in near future. I have been enthusiastic about this scholarship because of the opportunities it provides to the academic career I wish to pursue. Many a times news about the scholarship had come to my knowledge about its' assistance to the needy researchers and students. I find it as a good moral support. I extremely feel beholden to you and your team for finding me as a right candidate to reach at least to the top 10 finalists for the 2014 scholarship. I am confident that this motivation will go long way to guide me further in my life. It is my privilege to associate with your esteemed institution through my effort and your good consideration, adding some meaning to your selfless efforts and of the team that endeavours to help out students in the country. I am sure that the gratitude that you have shown would lead me to a long way in years to come by contributing more to the society by sharing my knowledge to the possible extent.